If you are like us, you love food. You might even be shaped slightly more like Mrs. Potts than Belle because of it. You should celebrate it. It just means you will never need a song and dance to be someone’s guest. You have already read all about the grey stuff, and you know it’s delicious. You don’t need to trust the dishes. Walt Disney World’s Magic Kingdom is filled with some incredible snack options for guests. Here are five of the top snacks in the park. Whether you are grabbing one while waiting for your FastPass+, or combining a few to make a meal, they should not be missed. They are easy to eat, tasty, and should be part of any Walt Disney World vacation. Stop everything you are doing and head to Walt Disney World right now. Take a plane, car, or horse-drawn carriage. It doesn’t matter how you get there just rush to try one of these Cheeseburger Spring Rolls. After you try them you will start corralling guests towards this food cart. They are that good. 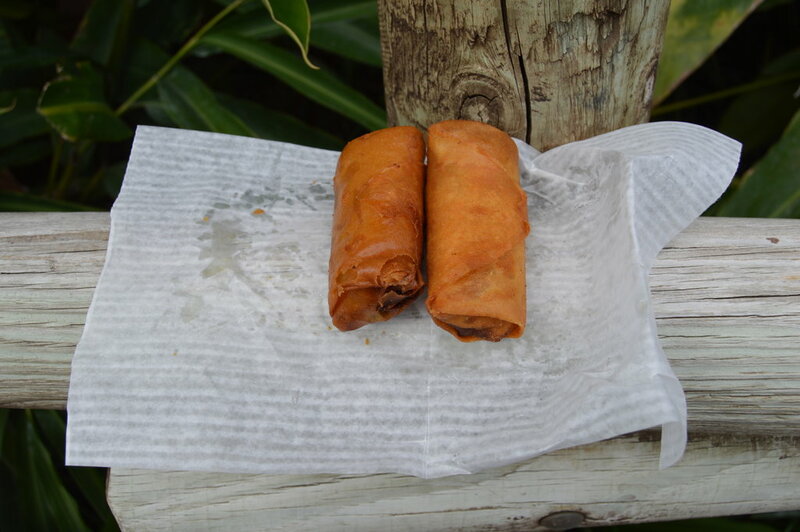 Cheeseburgers are amazing, spring rolls are amazing… how could they not be together? You can find this cart in Adventureland across from The Magic Carpets of Aladin near The Jungle Cruise ride. It’s always surprising to see how many guests just walk by this cart, and how many are unaware of these little wonders. Why are you still reading this? Please go try one now. You won’t be disappointed. 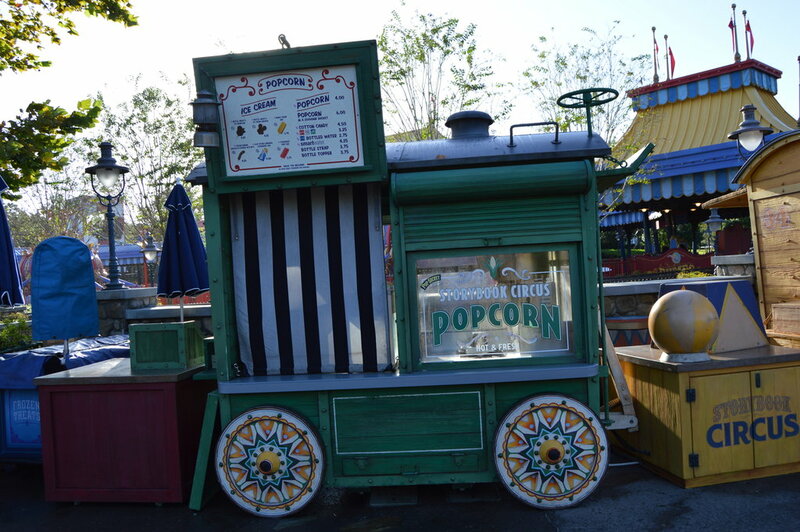 You can find these bite size snacks in Storybook Circus at the Circus Popcorn and Ice Cream Cart. If you have never tried this snack you should know two things before you do. The first is how delicious they are. The cinnamon glaze coating the almonds is the perfect level of sweetness. They are easy to share, and can be packed up to be enjoyed later. The second thing is for goodness sakes please watch your teeth while eating them. As incredibly tasty as they are, they are equally as hard. I would not recommend this snack for little children because of the choking hazard. Yet for the adults in your party, these should be experienced. If you have never tried a churro I don’t know where you have been hiding while visiting the parks. 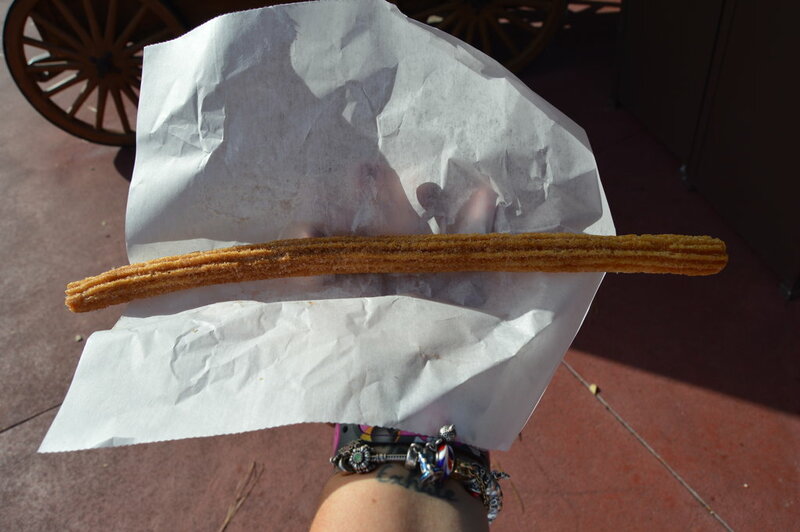 A churro is a fried-dough pastry, and can be found all over the numerous Disney Parks. You can find one such place in Frontierland, and many guests choose to dip them in chocolate. They are just the perfect fried snack. They are easy to walk around with, share with others and are covered in sugar. Who hates things that are covered in sugar? The Pineapple Dole Whip is a Walt Disney World staple for many guests. If you have never had one, do yourself a favor, and try one on your next vacation. 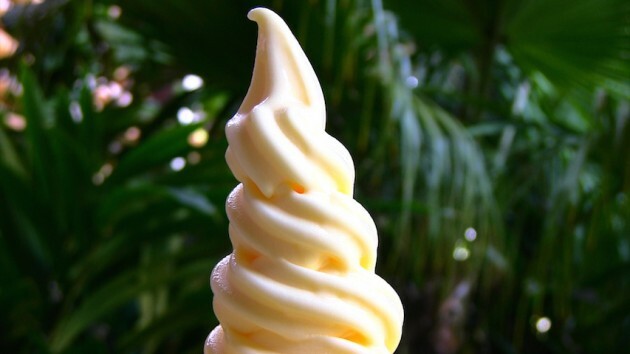 A Dole Whip is a soft serve frozen dessert. Think of it as pineapple soft serve ice cream. It may taste like ice cream, but it actually gets its texture from food thickeners. This tasty treat is dairy-free and is a “vegan-friendly” dessert. Disney say vegan-friendly because it may be dairy-free, but the vanilla flavor contains sodium caseinate. Dole Whips come in two classic forms: the cup and the float. The float is the Dole Whip over pineapple juice and the second form is in a little cup. Regardless of what form you pick, they are amazing. On a hot summer day, they are the perfect treat. Cold and creamy on a sunny day is always a great treat for everyone in your family. 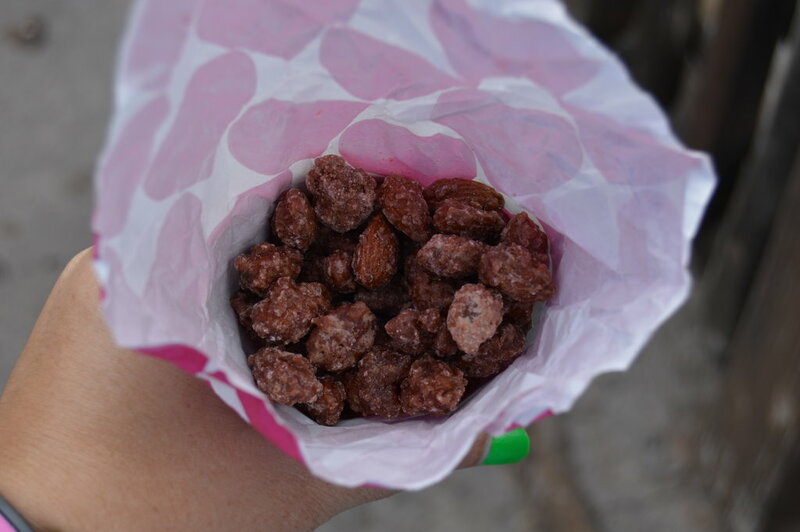 Disney parks veterans will remember that guests used to find this iconic treat in Frontierland. Now you can find them at the Cool Ship in Tomorrowland. Personally this makes no sense to me. It fit perfectly into the theme of Frontierland, but I’m glad they didn’t get rid of them all together. These things are huge. A guest needs a serious appetite to finish one of these by themselves. They can easily be shared by multiple guests. 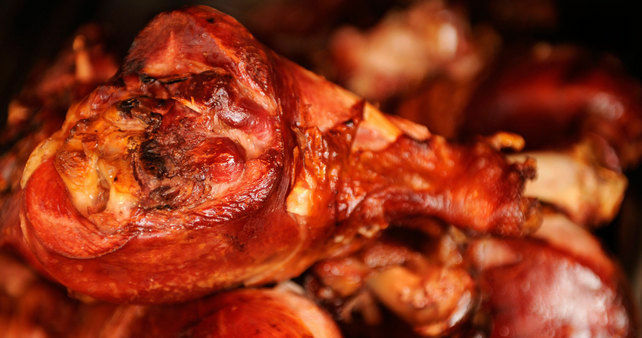 The Turkey Legs are more of a meal than a snack. If you have never seen them, picture a Turkey Leg the size of your child’s head. They are that big. The legs have a smoked flavor and are one of those treats that immediately come to mind when you think of eating in the Magic Kingdom. 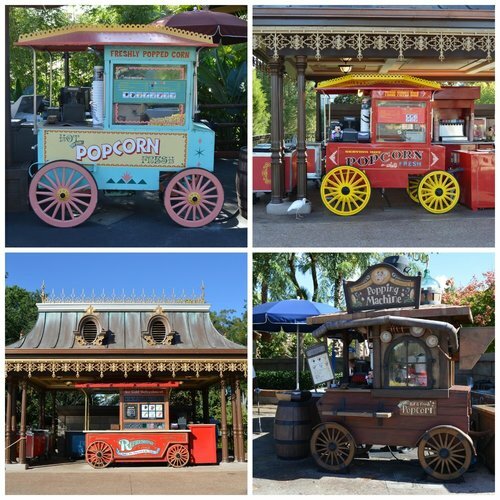 Whichever one you choose, just make sure to try one of the amazing snacks the Magic Kingdom has to offer. 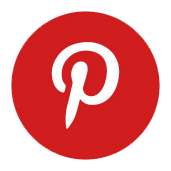 There are some awesome options that can be overlooked by some guests. Great things can come in small packages, right? What’s your favorite Magic Kingdom snack option? Share them in the comments. You might introduce someone to a snack they have never heard of.